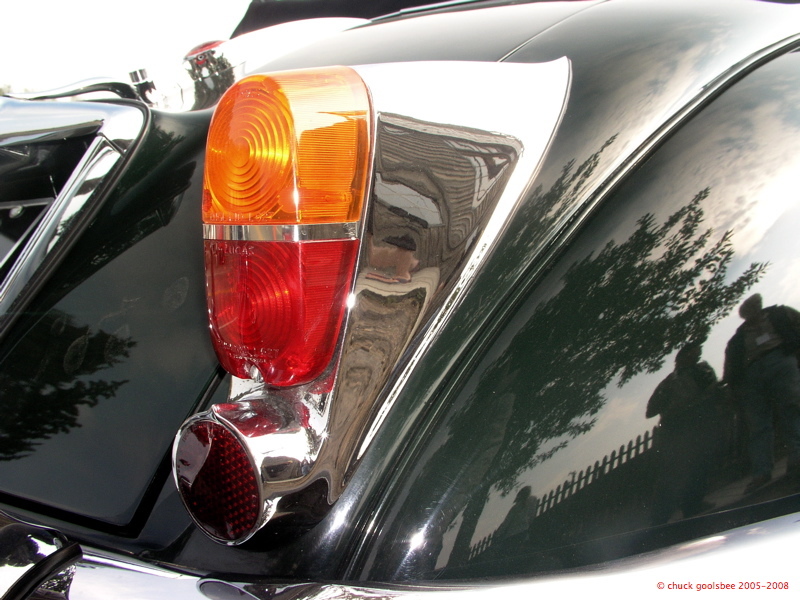 Car Photo of the Day: Name That Car. I have some pics of a just restored 150 from Tsikuris Classics that I should post. Black with black wires and brown leather- she’s a peach! 1955 Olds Rocket 88 anyone…? 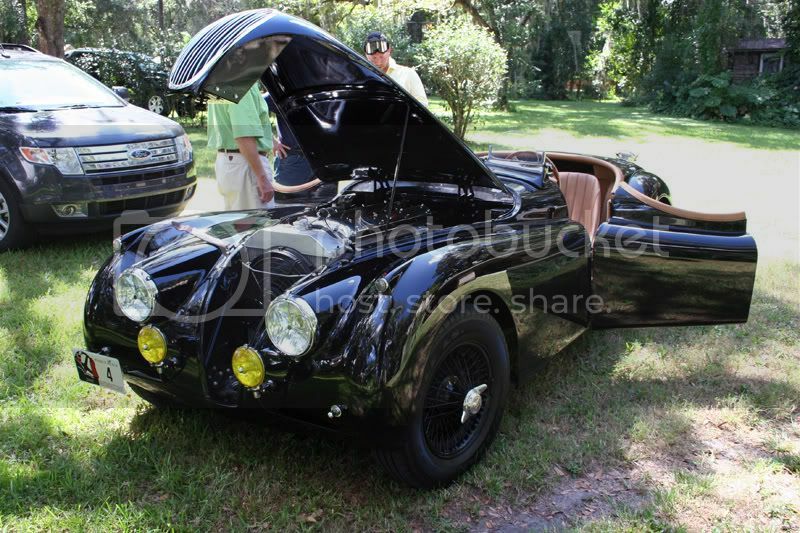 I have to call tis a “tie” … jculpjr guessed XK 150(?) 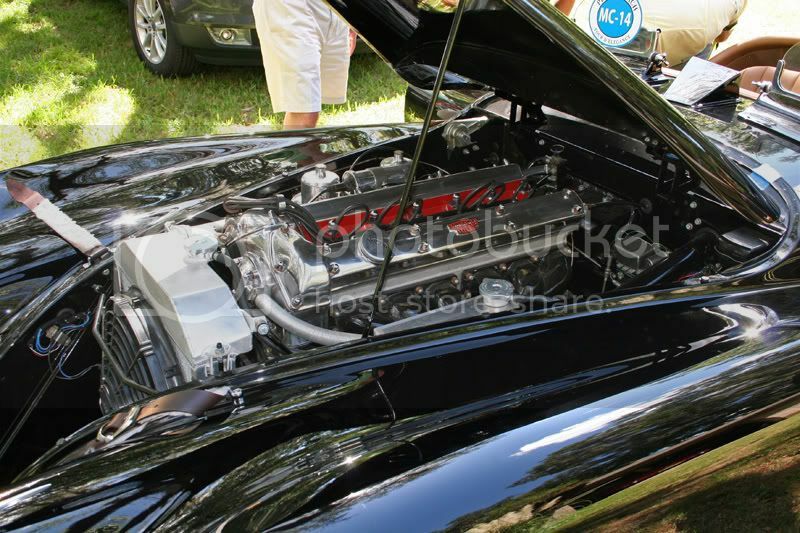 and then Paul zeroed in on the XK 150S, which is exactly what this machine is. Goodie! I’ll split the CPoD gift with JC, a bottle of Moet et Chandon ’62. Sounds fair to me…. Re: Post 7: JC, that which is pictured is *not* a 150: It’s a 120. And Paul Tsikuris does some of the MOST astonishly clean, beautiful work I’ve EVER seen. I’ve met him, and his shop is unprepossessing, he’s a powerfully nice guy…and his restos will bring *tears* to your eyes! hear that? It is a virtual bottle… enjoy! Vroomie- Small world! Paul just finished the metalwork on my ’67 BJ8. I heard about him from a friend and I’m so glad I did- he’s a great guy. 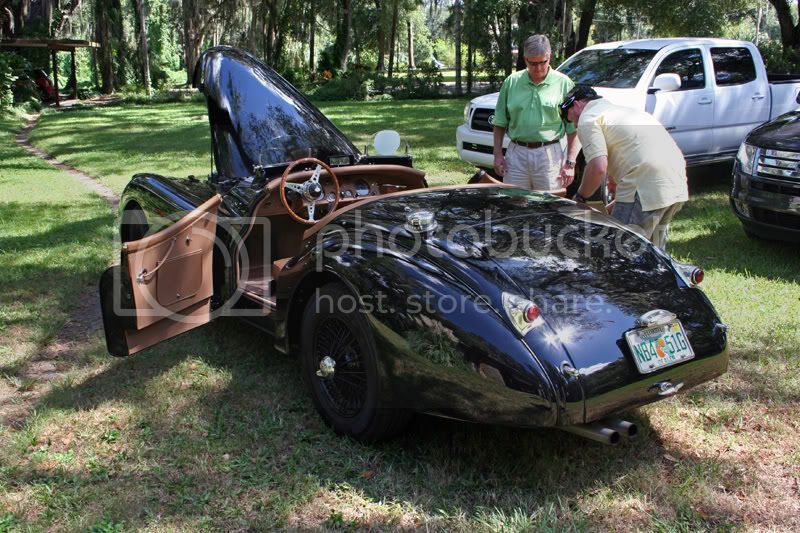 That XK 120 was down in Lakeland when I went down to see the car last month. It had participated in some event in Monterey this year. You should have looked up Ginger Corda; she lives in Lakeland, and is a TOP Jaguar enthusiast, and Paul’s Numero Uno cheerleader! She is ONE amazing li’l package of energy, flair, and enthusiasm! 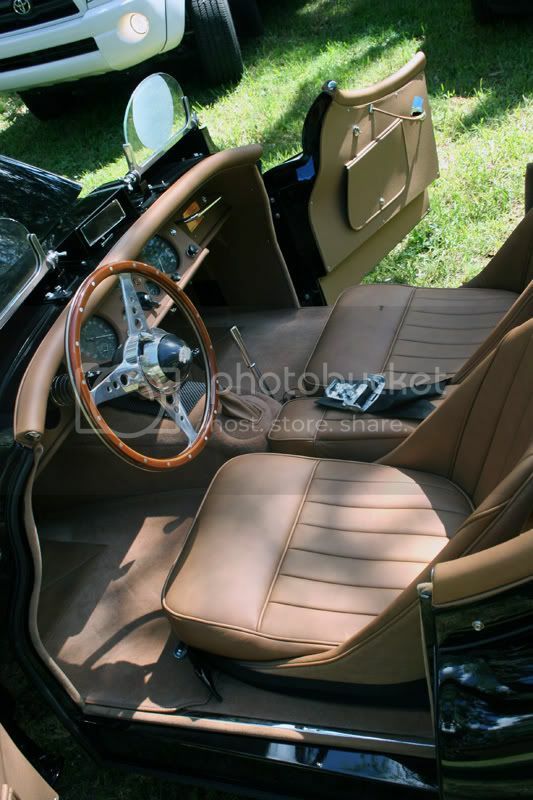 Previous Previous post: Car Photo of the Day: Do not adjust your set….